If you're like Jim Rhode, the retired chairman of SmartPractice who has presented hundreds of seminars and workshops on dental practice management and professional marketing, you're too busy to write--so you hire a ghostwriter like me. 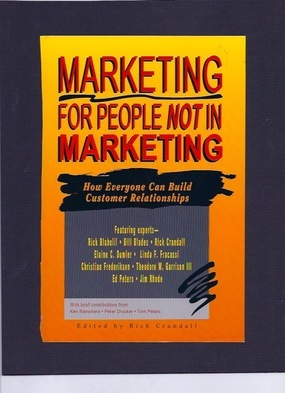 Here's the chapter I wrote for him that was published in the book, "Marketing for People Not in Marketing." Lori K. Baker offers 5 tips for avoiding content blunders that can make you look like an amateur. Are you driving your colleagues crazy without even realizing it? Before you sabotage your career, read my article, "8 Habits of Highly Annoying Co-Workers," in the August issue of Phoenix Focus magazine.